Most don't realize it, but Ashley Cummins has been in this MMA game for quite a spell. Cummins trained for two-and-a-half-years before taking her first amateur fight in December 2009. She amassed an undefeated amateur record, including winning three titles, before going pro in 2011. 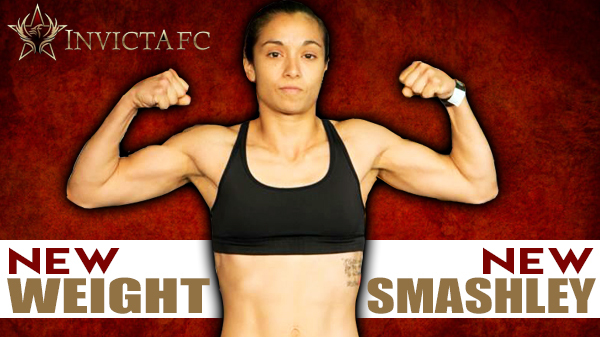 “Smashley” makes her return to the all-female organization, Invicta Fighting Championships, this Saturday when she faces Amber Brown at Invicta FC 22 in Kansas City. The entire card will be streamed on Fight Pass. All of those bouts – and including the loss to Lanchana Green to try to get into The Ultimate Fighter house - had one thing in common. Cummins has spent her entire pro career at strawweight (115-pounds). Saturday's fight with Brown will be Cummins' first-ever foray to antomweight, (105-pounds). 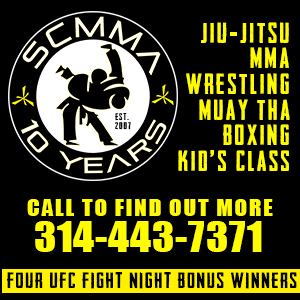 Cummins' last fight was at an 110-pound catchweight when she defeated Nicole Smith with a unique submission that earned her the STL MMA Submission of the Year award. Brown (6-3) recently went up to Cummins' old weight class and the results were not what she was looking for. Brown – a well-rounded southpaw - was submitted by Ashley Yoder in the second-round at Invicta FC 20. Prior to that, Brown lost to Ayaka Hamasaki by armbar in an Invicta FC atomweight championship fight. Brown began her Invicta FC career with three straight wins prior to that. Cummins, who trains out of the Wolves Den Training Center, Gracie Humaita, and Victory Performance Training, will be joined in Kansas City with coached Andrew Ebers and John Madaus.